Officially the Federal Republic of Germany (German: Bundesrepublik Deutschland), Germany (Deutschland) today is composed of 16 constituent states located in western-central Europe. After 1945, Germany was divided into two states, East Germany (the German Democratic Republic or GDR; German: Deutsche Demokratische Republik or DDR) and West Germany (Federal Republic of Germany or FRG; German: Bundesrepublik Deutschland or BRD). The country was reunified in 1990. The oldest document to give evidence of puppets on Germanic territory and doubtless in Europe as a whole no longer exists. This is the manuscript entitled the Garden of Delights (Hortus deliciarum) of Herrad von Landsberg, abbess of Sainte-Odile in Alsace, edited and illuminated c.1170, but destroyed in Strasbourg during the war of 1870. Fortunately copies had been made. To illustrate a sentence from Ecclesiastes on the vanity of the world, the manuscript showed two knights, their stage a table (in the style of a jigging puppet or the French term marionnette à la planchette), joined by crossed strings in the hands of two street entertainers (see Tabletop Puppetry). The same epithet of “vanity” is applied to the “play of puppets” (Tokken Spil) in the 18th century by a number of poets, for example Ulrich von Thürheim in his poem William of Orange. These explicit parallels suppose real performances. Glove puppets are represented in a Flemish manuscript of 1344 (Li romans du boin roi Alixandre, illuminated by Jehan de Grise), and in 1364 another Flemish document attests to the payment of a puppeteer (Eintrag ins Rentkammerbuch des niederländisch-bayerischen Grafen Albrecht, Entry in the rent book of the Netherlandish-Bavarian Count Albrecht). Puppet theatre was a phenomenon spread all over Europe by itinerant troupes of storytellers and performers. The shows might be given in fairgrounds or in the courts of the nobility. The scenic space might be a simple trestle or a booth often decorated as an armoured castle, called a castelet in French, and in German a Possenburg (a “clown castle” because of the buffoonery in the shows; see Puppet Stages). The Renaissance brought the theatre of automata, that is to say the indirect manipulation of figurines in boxes and display windows. At first employed by the church to propagate the mystery plays of the Catholic religion, this re-discovery, of Greek origin, was adopted by some of the itinerant showmen. After 1510, most of the shows had religious themes: the Passion of Christ, the Nativity and also the Book of Jonah. At this time, from 1519, the name of Hanswurst appeared on the scene, although it is not yet possible to ascertain that this was a theatre personality. The 17th century brought to Europe the puppet theatre of rod marionettes and string puppets (string marionettes/marionettes). An early description is found in Italy in about 1650, and an Italian by the name of Pietro Agismondi was performing in Germany with these types of puppets from 1666. Later, three generations of a Dutch family called Hilverding presented a particular brand of performance, calling their puppets “miniature actors” and presenting the repertory of the famous “Travelling Comedians”, but at a lower price. Theirs was a European repertory which included Doctor Faust (from the German and the English), the biblical parable of the Prodigal Son, and also the Spanish Don Juan. At the end of the 17th century the youngest member of the Hilverding family had begun to produce complete operas, taking advantage of all the resources of the new travelling theatres specializing in string puppets (see also Travelling Puppeteers). In the 18th century it was from Austria that the star characters of the German puppet theatre arrived (or perhaps returned). The former Hanswurst, revived in Vienna in 1708 by Joseph Anton Stranitzky (1676-1726), became the leading traditional hero of the German theatre. He disappeared some thirty years later, victim of the suppression of popular comic characters initiated in Leipzig by the theatre director Friederike Caroline Neuber. Once again Vienna supplied another comic hero, Kasper, or Kasperl which was his name in Vienna, created for the actors’ theatre by the comedian Johann Laroche (1745-1806). Although he did not wear the costume of Hanswurst, he retained his personality, and after the death of the actor, the character was widely adopted by the puppeteers. In addition, they reclaimed the old Viennese dramaturgy known as “parallel structure”, where a serious character and his comic attendant are confronted with the same situations to which they react quite differently. With Kasper and this elementary parallel dramaturgy the glove puppet theatre was a constant source of new topics. Around 1800, with the conservation of this archetypical character together with its dramaturgy “against the classical rules”, the puppet theatre became a popular entertainment which still suffered from social decay. The first attempts to establish a permanent theatre for a company, notably in Ulm, Strasbourg, Cologne and Berlin, reinforced the phenomenon. These theatres were no longer led/organized by touring players but by non-theatre people such as artisans and guilds and even military veterans. The “Mechanici” (mechanicals), as the travelling puppeteers such as Johann Georg Geisselbrecht, Schütz & Dreher, and the early members of the families Apel, Bille, Dombrowsky, Ritscher, Schichtl and other traditional puppeteer dynasties liked to call themselves, could only slow down this process. The high esteem in which the Romantics held the marionette theatre, and before them the artists of the Sturm und Drang, was at first due to a repertory of lost theatre plays of the Lumières movement based on popular tales from German folklore. Clemens Brentano, Achim von Arnim, Johannes Daniel Falk and August Mahlmann were the first well-known writers for string marionettes. In addition, the marionette was of interest as a model for a new theatre: they were considered as better actors than the actors of flesh and blood. In his essay Über das Marionettentheater (On the Marionette Theatre, 1810), Heinrich von Kleist gave his reason for this: the marionette is without self-consciousness. Also, on condition that the manipulator is an artist, its movements obey certain mechanical rules and reach a perfection beyond the capability of any human performer. In his play Prince Zerbino (1799), Ludwig Tieck discovered the satirical capacities of the string puppet and was one of the first to show puppets, actors and manipulators onstage at the same time. A first theory of theatre with puppets was emerging, even if this did not correspond with the practice of the professionals, some of whom due to their different level of education. The shadow theatre, also via Italy, experienced the same phenomenon. Its variety of forms fascinated the Romantics and from 1780 it spread all over Germany. The enthusiasm of the Romantic artists was not without consequence. The plays they staged themselves together with the high regard of Goethe himself contributed to the foundation of a bourgeois amateur puppet theatre for the “leisured classes”, while the professional puppet theatre became more and more an entertainment only for the “lower classes”. With one exception: the theatre of automata. A modern development of the mechanical theatre, this certainly benefited from the enormous interest of the Romantics, such as E.T.A. Hoffmann (Der Sandmann, The Sandman, 1817; Die Automate, The Automata, 1819). Using their “cabinets of artistic automata” as stages, Matthias Tendler (1753-1825) and Christian Tschuggmall (1745-1845) accompanied the turns of their various figurines with music and commentary, captivating every level of society. These two artists made many of these machines, and some travelling puppet companies even used the “mechanical theatre” description to attract audiences, until in the second half of the 19th century the public lost interest in the genre. Censorship plagued the professional puppet companies until the middle of the 19th century, forbidding the use of improvisation, reducing the repertory to themes approved by the authorities and stripping the plays of anything they considered improper. Naturally the puppet theatre also lost any possible voice of political protest. Nonetheless it gained in permanence. Smaller States granted a licence for life, on condition that the holder obeyed the law. The companies stayed longer at one place and did not travel so far anymore. Stories of chivalry, of brigands, popular and popularized literature together with local folklore allowed them to present a varied repertory and to establish a loyal following. Johann Christoph Winters (1772-1832) and his Hänneschen (Little Hans) show was one of the first to discover a child audience. Others drew on the tales of the Brothers Grimm. One might even say that the puppet theatre flourished in the shadow of the censors. Between 1830 and 1870 there was a reform in the art of the glove puppet. On the one hand Kasper became a national character type, one with relatively low social origins but enriched with various “carnivalesque” traits. On the other hand, he suffered, as throughout continental Europe, from the “civilization” of the character of Kasper: the sinister murderer became the malicious jester speaking the language of his public. With the support of Count Franz von Pocci (1807-1876), commissioner of culture, the civil servant Josef Leonhard Schmid (1822-1912, known as “Papa Schmid”) founded in 1858 the Münchner Marionetten-Theater (Munich Marionette Theatre). Thanks to Pocci, who wrote most of the plays, this, the first literary string marionette theatre was, from an aesthetic viewpoint, one of the last locations for the expression of Romanticism in Germany. Humour, satire and self-mockery were here employed to castigate the first effects of the industrial age. As worthy inheritor of the bourgeois amateur theatre, it reconciled, largely through the attitude of Kasper Larifari the central character, the demands of an educated public with the theatre of string puppets. In addition, “Papa Schmid”’s theatre was the first dedicated – and since 1900, the first permanent or “fixed” theatre – for children. For all these reasons, it played a key role in the evolution of the arts of puppetry in the 20th century. At the beginning of the 20th century it was the intellectuals who professed their enthusiasm for the “inanimate figure”, reclaiming another artistic truth for the theatre, an aesthetic universe in opposition to the prosaic realism of the everyday. At first there appeared the “artistic” puppet theatre: Paul Brann (1873-1955), formerly an actor, founded in 1905 the Marionettentheater Münchner Künstler (Marionette Theatre of Munich Artists). Drawing on a modern repertoire by writers such as Maurice Maeterlinck and Arthur Schnitzler, Kasper was laid aside. Brann was the first director of puppetry in Germany. In 1911, the graphic artist Ivo Puhonný (1876-1940) founded the Baden-Badener Künstler Marionettentheater (Marionette Theatre of Baden-Baden Artists). Influenced by the Romantics and Edward Gordon Craig, he developed the idea that a puppet may be adapted to all styles of theatre and that its expressive force is equal to that of a human actor. Thanks to the artistic excellence of these two companies, the puppet theatre rose to take its place in the domain of modern art for an educated public. Besides these two influential companies there were other “artistic” puppet theatres founded during the early decades of the 20th century. For example, in Munich between 1907 and 1912 literary figure Alexander von Bernus (1880-1965) established the Schwabinger Schattenspiele (Shadow Theatre of Schwabing), a radical, aesthetic experiment which broke away from the naturalistic conventions practised in the theatre at that time. Thanks to people like him and many others who understood the expressive potential of shadows, like filmmaker Lotte Reiniger, shadow theatre survived the onset of film. And Theodor Schück founded his puppet company in Freiburg im Breisgau in 1912, with a repertoire based on fairy tales and topical parodies characterized by an ironic mix of romance and realism. Another path was trodden after World War I by the Bauhausbühne (Bauhaus Stage). Oskar Schlemmer (1888-1943) and his disciples studied the Kunstfigur (the artistic artefact) and its relationship with space. As with Kleist, it concerned the suspension, in performance, of any connection with the human condition, but here, in the spirit of Craig’s Übermarionette (super-puppet), the means of expression would be puppets of human size or even greater. The experiments of this theatre were interrupted by the Nazis and were not followed up afterwards. The German puppet theatre maintains a relatively conservative aesthetic in the field of string marionettes. The principal players contributing to this were, among others, Hilmar Binter, Georg Deininger, Peter Anton Kastner, Fritz Gerhards and Harro Siegel. Whereas one of the two main currents of the amateur middle-class theatre led to the modernist forms of art of the 20th century, the other resulted, at the same time, in the educational puppetry movement. This development was launched by the architect Carlo Böcklin (1870-1934) who began by performing for his own children but later, after 1911, played for a wider public. He imposed an educational role on Kasper and his supporting cast, stripped the texts of any sexual references and engaged his young audiences to form an alliance with Kasper in his fight against “bad behaviour”. Into this somewhat limited path stepped other producers such as Carl Iwowski, Werner Perrey, Max Jacob, and later Carl Schröder. In all of this Kasper the bon viveur and clown became Kasper the propagandist who spoke his mind in a world where good deeds were rewarded and bad deeds punished, if only moderately. This concept, called the “artistic” glove puppet theatre, admitted puppeteers access to associations and pedagogic institutions as well as the important organization of spectators, the Bühnenvolksbund, and to the new media of the day, the radio and cinema. The upshot was dangerous. Once Kasper the materialist had become Kasper the propagandist he could be exploited for other ends: Red Kasper for the Workers’ movements (Otto Griebel), Policeman Kasper for instilling traffic awareness, and so on. On the whole the puppet theatre managed to survive the Nazi dictatorship, though with certain exceptions. There were some who for ethnic and political reasons were persecuted, imprisoned, forbidden to practise their profession, exiled and even assassinated. Most of the puppeteers had to bear the harassment of the authorities (see Walter Büttner), but they also profited from unprecedented material support if part of a “national” puppet theatre which the dictatorship made use of in its massive campaign of indoctrination: the creation of “National-Socialist cultural associations” such as the national-socialist collective known as Kraft durch Freude (Strength through Joy), the Reichsinstitut für Puppenspiel (State Institute of Puppet Theatre) and the Frontpuppenspiel (puppet theatre for soldiers at the Front). It is hardly surprising that the professional puppeteers took advantage of the general thirst for culture at the end of the war to reactivate their work. The conditions obtaining varied depending on whether their activity was in the Soviet-occupied Zone or the Zones occupied by the Western powers. After World War II, the private puppet theatres in the Soviet-occupied Zone numbered one hundred and seventeen. Over 90% called themselves either “artistic” glove puppet companies or traditional marionette companies (travelling theatres, theatres of the fairgrounds, variety theatres). There were no “artistic” string marionette companies just as there were no traditional glove puppet specialists. The new administration was displeased by the perpetuation of the old aesthetic norms. A civil servant formulated this critique: “With only a few exceptions, the puppeteers are producing the same rubbish they should have thrown away fifty years ago.” At the end of 1950, when the Russian Sergei Obraztsov had finished his tour of many cities including Dresden, the authorities discovered the concept that would at last lead to a truly Socialist puppet theatre. War was declared on the private theatres. Two of the theatres founded after 1958, Magdeburg and Gera, profited from better conditions than their predecessors. In 1960, UNIMA-GDR was started. Nonetheless, the general situation remained unsatisfactory. For this reason in 1971 a professional training for puppeteers was established in the State School of Dramatic Art in Berlin (later, in 1984, the college was renamed Hochschule für Schauspielkunst “Ernst-Busch” (Ernst Busch Academy of Dramatic Art) with the status of a university). The training served to nourish the state companies with properly qualified young artists. Their first success was in the Puppentheater Neubrandenburg (the Neubrandenburg Puppet Theatre, see Peter Waschinsky) in which almost all of the puppeteers, as well as the artistic director, were the product of the School. The difficulties that faced the state theatres allowed the private companies to survive. In spite of much harassment and the fact that no journal was allowed to mention their existence, they always had a following. There were even new groups formed, some by professionals from the state theatres. During the first twenty years of the GDR these companies were a constant source of irritation for the administration, while in other countries of communist Europe such theatres were forbidden. The situation began to be eased in 1966 with the creation of an association of theatres of which one branch consisted of the puppet companies. Private theatres and independent puppeteers were allowed to be associated with this initiative, and by the 1980s some forty private companies were still active, some enjoying international fame. The first puppet theatre festival in 1976 in Magdeburg constituted a true breakthrough in the evolution of puppetry in East Germany. Here there was new competition between the state companies, the soloists (including the private companies) and in addition the invited companies from the “sister” countries of communist Europe. This festival, taking place in a more liberal phase of the country’s politics, caused many hitherto hidden problems to be revealed. For instance, the younger participants staged a revolt against the jury which had ignored the work of Peter Waschinsky and then rendered improvised homage to the young graduate. The GDR companies suffered other setbacks. They were not regarded as among the best of the east European theatres, nor good enough to be compared with the leading soloists of the private companies, such as Felix Lorenz and Frieder Simon, both Kasper performers. The resulting discussion shifted the focus from state theatres versus private companies, to professional companies and amateur troupes. The arguments compared techniques of manipulation: the partisans of the “imported” rod puppets against the traditional glove and string figures. After this, from 1976 onwards, the use of the traditional glove figures was once more tolerated in the state theatres. The obligation to play only for children, imposed in the 1960s, was lifted: puppet theatre was once more considered as an art as much for adults as for children. There remained the question of themes and literary subjects adapted for puppets, which notably led to a production in 1980 of Bertolt Brecht’s Fear and Loathing of the Third Reich (1938) by the Neubrandenburg company directed by Peter Waschinsky. Kasper shows, hardly tolerated by the authorities in the 1950s, became a subject of keen interest of the puppeteers. Waschinsky’s Kasparett (1976), the Theater Gera’s Kasperiade (1981) and Theater o.N. (Zinnober)’s Die Jäger des verlorenen Verstandes (The Hunters of the Lost Mind, 1982) were all successfully produced with Kasper and other traditional references. The various strands of the debate in time led to the reform of the “artistic theatre” of glove puppetry. It began in the Neubrandenburg theatre and continued during and after the reunification of Germany with the productions of the Theater Handgemenge company inspired by Hans-Jochen Menzel. These put aside the fixed characters of Kasper and his comrades, and the glove puppet was from then on considered as an artistic effigy no longer according with criteria of human likeness but with the demands of each artistic project. In spite of the bitterness aroused during these controversies, the debate eventually led to an atmosphere of regeneration and innovation. 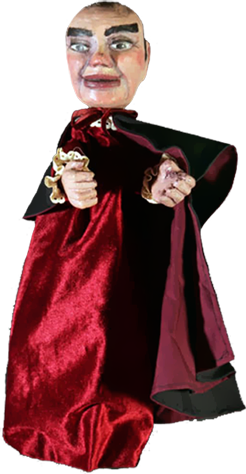 New manipulation techniques were employed, till then rarely used, such as the shadow theatre, tabletop puppetry and bunraku-style puppets, and the visible puppeteer. Simultaneously, new state theatres were founded: the Wismar theatre in 1978, the Theater Waidspeicher Erfurt in 1979, where the diploma shows of the Ernst Busch Berlin school were presented. At roughly the same time the Theater o.N. (Zinnober) was born, a private (semi-legal) company consisting of former members of Neubrandenburg. These three were influential in the evolution of the puppetry arts. The list of prize winners in the third festival of Magdeburg confirmed the new tendencies. Two years on, the UNIMA festival in Dresden proved that the East German companies were also capable of success on the international scene. In June 1990, after its fifth and final edition, the Magdeburg festival became the Deutsches Forum des DDR-Puppenspiels (Forum of Puppet Theatres of the GDR). Eighteen regional companies then existed, and in spite of past criticism, these made the most important contribution of East Germany to the development of puppet theatre. On the last evening of the festival, “monetary union” was effected with West Germany, the source of new problems for the puppet theatre of the east in the reunification of the country. In West Germany, companies were formed which were for the most part modest economic structures of one or two people. During the first post-war years the puppeteers in the occupied territories were given permits to work only within prescribed geographic boundaries and their work was shaped by difficulties of transport, destroyed towns with refugee camps, and the political and pedagogical surveillance of the authorities. Professional contact to the eastern zone was forbidden by the soviets. For reasons of mobility, their equipment and the repertory consisted mostly of Kasper shows or fairy tales adapted for school children. Up to the 1960s there were a few traditional string marionette troupes that toured in their caravans, but the artistic companies were not mobile and could therefore not tour. Some artists were able to found new fixed private theatres, such as the Augsburger Puppenkiste (Augsburg Puppet Box). In the 1950s, certain companies, such as the amateur Munich-based Marionettenstudio Kleines Spiel (est. 1947), made a radical change in the style and content of their repertoire: the figurative gave way to abstraction for both puppets and sets. Certain art schools created experimental productions inspired by those of the Bauhaus. The Die Spieldose (The Music Box Toybox) company, founded in Munich in 1955, was for decades a centre of experimentation with glove puppets, mechanical effigies, sound, light and space. The Die Klappe (The Trap) troupe, founded in 1957 by Ben Vornholt, toured all over the world with its mobile sculptures and silhouettes. In 1957, Harro Siegel organized in Braunschweig an international puppet theatre festival, the first of its type since the war. It was an occasion for the German companies to get in contact with and consider the diverse artistic and experimental companies of the rest of Europe, such as those of André Tahon, Harry Kramer, Michael Meschke, Spejbl and Hurvínek, Carl Schröder, Friedrich Arndt, Fred Schneckenburger. Similarly, the UNIMA festivals of Prague in 1957, 1960 in Bochum and Braunschweig, and that of 1966 in Munich were centres of innovation, with rear-rod figures, hands-on figures, visible manipulators (a new aesthetic approach), experiments with light and new materials (string, plastic, cloth, Celastic, Agoplast©), abstract and cubist forms. The younger generation (Peter Klaus Steinmann, Albrecht Roser) proposed a new basis on which to build a puppet theatre for adults. This was also an intense period of international exchanges between puppeteers. The profession needed at last to be recognized by the western cultural authorities. In 1968, the practitioners created their own professional association: the Verband Deutscher Puppentheater e.V., or VDP (Association of German Puppet Theatres; its first chairperson Fritz Leese) insisting that their art was a distinct theatre discipline. The young puppeteers gave the “old ones” a hard time in the efforts to emancipate the type and content of puppetry for children. The figure of Kasper, the happy hero stripped of his social origins, had gradually to give way to new characters to identify with and new forms of staging. The better to describe the diversity and imaginative fantasy which now characterized puppetry, new terms were invented for it in the 1960s: Figur (figure) and Figurentheater (figure theatre) to indicate this genre in West Germany. Puppe is a term mainly referring to the image of a human figure, and also “doll”, whereas Figur could be a term for all animated forms. In 1970, the first school of puppet or “figure” theatre was founded at the DIP (Deutsches Institut für Puppenspiel) in Bochum, today known as the Figurentheater-Kolleg Bochum. The VDP, too, realized the need for a stronger infrastructure and a wider teaching base. In 1979, Peter Röders opened the Freie Bildungstätte für Figurentheater (private establishment for the teaching of figure theatre), today housed in the Hof Lebherz in Warmsen, where seminars, experiments with performance and materials can be shared among colleagues. In 1983, the VDP succeeded in including puppet theatre in the programme of the Staatliche Hochschule für Musik und Darstellende Kunst Stuttgart (State University of Music and Performing Arts in Stuttgart). The German centre of UNIMA was once again installed in West Berlin (1972) where it opened its membership to every kind of puppet theatre aficionado. In the 1970s and 80s, subtle differences started to appear between abstraction and artificiality, the figures scientifically treated in the modes of the grotesque and the imaginary. The rich relations between material and character were explored, as was the synergy with the other performing arts of dance, mime, mask theatre and shadow theatre. Sculpture was integrated, the elements of sound and other genres with no direct affinity with the performing arts (i.e. Puppet Players). On the stages of municipal theatres, in factories, on the street, giant effigies appeared while miniature stages produced tiny figures (Jörg Baesecke, 1954, and The Smallest Theatre in the World). Classical works, operas, contemporary theatre were inspirations for shows for adults. But the dominant tendency was to create works based on ideas arising from improvisation, especially intended for puppetry. More and more women formed their own companies, for example Kristiane Balsevicius and Silke Technau who together founded the mobile puppet theatre Kobalt Figurentheater in 1975. Characterization and dramaturgy became modified by a feminine aesthetic. Fundus Theater’s Familienalbum (Family Album), produced in 1984, warned the audience of sexual abuse. The continually growing number of festivals encouraged international influences, resulting in new concepts of theatre: experiments with the body (Ilka Schönbein and her Theater Meschugge), the settings and the effigy nourished the Tischtheater (Tabletop Theatre), also puppeteering in view, thought to interest a young public. Emphasis was placed on the dramatic tension between puppeteers and their puppets (Fliegendes Theater) or interactions between puppets and music (Tristans Kompagnons). The bizarre, deathlike figures of Frank Soehnle exercised a new influence from the theatre of string puppets. Other new categories were invented, like Materialtheater (Material theatre, see Materialtheater Stuttgart) and Objekttheater (object theatre) to which belonged the creations of Peter Ketturkat. Glove puppetry was also revisited, and all these developments began to be studied scientifically, with a new specialized literature. At the regional level, associations were initiated to develop the puppet theatre and certain regional capitals voted in a budget dedicated to its promotion. Here and there a specialized press was appearing, and in the 1980s a network of local initiatives, projects, television series and festivals could be discerned. The reunification of Germany (German: Deutsche Wiedervereinigung) in 1990 brought in its train fundamental changes for the East German theatres. The municipal authorities annexed some of the companies working for children and adolescents, as in Chemnitz and Dresden. Some former state theatres with the support of their professional unions succeeded as independents, but others were forced to close, as in Berlin. In every case the budgets of these companies were reduced. Nevertheless the presence of the well-subsidized state theatres of the east was at first felt as a threat to the survival of the independent companies in the west. The east and west UNIMA centres merged in 1991, to become the UNIMA of Federal Germany, with its own journal Das andere Theater (The Other Theatre). In Bochum the Deutsches Forum für Figurentheater und Puppenspielkunst e.V. (German Forum for Figure Theatre and Puppetry) was formed. From an artistic point of view one may note since 1990 more and more innovation and interdisciplinarity. New companies evolved, such as Dorftheater Siemitz (Siemitz Village Theatre, est. 1997) which combines puppeteers, filmmakers, painters and musicians. The festivals of Bochum (North Rhine-Westphalia) FIDENA and of Erlangen (Bavaria) present shows which continually seek to enlarge the field of puppetry arts, welcoming artists from the domains of dance, the plastic arts and other disciplines. The two biggest venues for the art, the Schaubude Puppentheater Berlin and the FITS Figurentheater Stuttgart (in 2003, renamed FITZ! Zentrum für Figurentheater Fitz! Centre for Figure Theatre) invite and present mixed media shows. Nevertheless, the great majority of the puppet companies still depend on the tried and tested forms, while sometimes trying out new ways of enriching their means of expression, marrying different types of puppet or staging puppets and actors together. As counterpart, the expressiveness of the puppet has awoken the interest of the actors’ theatres and the opera companies, which invite the puppets to perform alongside actors and singers, for example in Stuttgart, Frankfurt-on-Main or Weimar. In these circumstances the puppeteers are considered as the experts in animation, as indeed they are in the cinema or in musical comedies. The result is a renewal of interest in the traditional techniques of animation. A small number of the great state theatres of the GDR have survived the new conditions of production. Synergura, the festival born of the annual meeting of state theatres in Erfurt, has tried for several years to promote some form of organization in the East German style of vast companies (Ensemblespiele). But the tendency towards small-scale mobile productions has imposed itself even on the large-scale theatres, just as it once had on the independent puppeteers. Within these organizational changes, reinforced by the system of grant-aid given project by project for artistic shows, new ways of working have been born: multi-disciplinary companies are created, the artists get together for a particular project, take part in Europe-wide initiatives and make productions for an international audience. Although there have been significant cutbacks in financial support of cultural activities due to political developments, puppetry remains vital. Theatre researchers note the following trends in the current performance scene. International festivals established in the 1980s and early 1990s, including those in Husum, Göttingen, Straubing, Erfurt, Magdeburg, and Bochum, have managed to expand. Most festivals in Germany, as throughout Europe, present a great variety of touring and resident puppet theatre productions. Some organizers select a special theme and may commission selected shows. Performances take place in unoccupied halls, parks, and sites outside the downtown areas, etc. Parades through city centres draw visibility to the event. Lacking government subventions for cultural activities, increasing numbers of small puppet companies crop up regionally and develop their own loyal audiences. Above all, productions are based on popular children’s books. A new target audience (children under three years) has had special programmes developed for them. Sophisticated evening programmes have also become more popular. Today, Kasper is reappearing as a figure of pointed satire – a new tradition may be in the making. In addition to plays, cabaret acts, and pieces written by the puppeteers themselves, important novels or films are dramaturgical sources to be transformed into the language of the puppet. Works are developed with creativity and sensitivity. Projections and film offer new sculptural and dramaturgical opportunities. Artist training has benefited, firstly, from the self-awareness experiments of the 1990s, which have once again brought focus to emotional expressiveness of the theatrical figure. Secondly, techniques – digital media, performance skills, storytelling, movement, and puppet theatre direction – are also part of the training. Students – some of whose parents helped shape puppetry since the 1980s-1990s – incorporate both these traits as they enter the varied German puppet theatre scene for their first professional experiences. Every year students show their semester projects at the national congress of the Verband Deutscher Puppentheater (VDP, Association of German Puppet Theatre) where they meet each other and network with professionals. Exhibition spaces have also experienced new development. At both the Puppentheatermuseum im Münchner Stadtmuseum (Puppet Theatre Museum in the Munich City Museum) and PuK Museum für PuppentheaterKultur (PuK Museum for Puppet Theatre Culture) in Bad Kreuznach, Rhineland-Palatinate, international festivals now take place. Also on the museum front, the TheaterFigurenMuseum Lübeck (Lübeck Museum of Theatre Puppets) mounts special exhibitions in close collaboration with the Figurentheater Lübeck (Kobalt) and in cooperation with other art institutions. Other German museums with significant puppetry collections include the Hanauer Papiertheatermuseum (Hanau Paper Theatre Museum) founded in 1990; the Puppentheatersammlung Dresden (Dresden Puppet Theatre Collection), established in 1952 by Otto Link, which has a collection of more than 50,000 objects, a library and important archives. Other significant legacies of individuals, such as puppet theatre historian, publicist and collector, Hans Richard Pursche (his own considerable scholarly output includes ten volumes on the history of German and European puppet theatre), is preserved in the Puppentheatermuseum Kaufbeuren (Museum of Puppet Theatre in Kaufbeuren). The collection and archive of Walter Röhler, specialist in Paper Theatre (also called Toy Theatre), resides in the city of Darmstadt, administered by a benefit society; he is also the author of Große Liebe zu kleinen Theatern. Ein Beitrag zur Kulturgeschichte des Papiertheaters (Big Love for Little Theatres. A Contribution to the Cultural History of Paper Theatre, 1963). While a large part of the oeuvre of Hansjürgen Fettig, master puppet designer, builder teacher and author, was bequeathed during his lifetime to the Sammlung Rother (Rother Collection) in Eitorf, North Rhine-Westphalia and to the PuK Museum für PuppentheaterKultur in Bad Kreuznach. The Theatre Archive at the University of Cologne, Theaterwissenschaftliche Sammlung der Universität zu Köln (established in the 1920s by Carl Niessen 1890-1969, which includes a department of puppet theatre), is the legacy of collector Wilhelm Löwenhaupt (1872-1935). 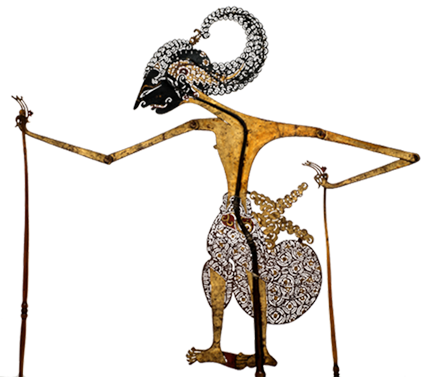 The collection includes puppets from the early days of Cologne’s Hänneschen-Theater, as well as Javanese and Chinese shadow puppets, and six Egyptian shadow puppets dating from the 14th century. The Internationales Schattentheater Zentrum (ISZ, International Shadow Theatre Centre), established in 1987 in Schwäbisch Gmünd, researches, archives and promotes shadow theatre. Since 1988, it has organized international shadow festivals, and in 2013 a shadow theatre museum is scheduled to open. Bernstengel, Olaf. Sächsisches Wandermarionettentheater [Itinerant Saxon Marionette Theatre]. Dresden: Verlag der Kunst, 1995. Boehn, Max von. Dolls and Puppets. London: George Harrap & Co. Ltd., 1932. Trans. of Puppen und Puppenspiele. München: Bruckmann, 1929. Bohlmeier, Gerd. Puppenspiel 1933-1945 in Deutschland. Das Puppenspiel im Dienste der nationalsozialistischen Ideologie in Deutschland [Puppetry in Germany 1933-1945. The Puppet Show in the Service of Nazi Ideology in Germany]. Frankfurt: Puppen und Masken, 1985. Brendenal, Silvia, ed. Puppentheater der DDR. Eine Bestandsaufnahme [Puppet Theatre in the GDR. Taking Stock]. Berlin: Unima Zentrum, 1984. Grazioli, Cristina. “Le grotesque et les genres populaires en Allemagne” [The Grotesque and Popular Genres in Germany]. Puck. No. 12. Charleville-Mézières: Éditions de l’Institut international de la marionnette, 1999. Günzel, Klaus, ed. Alte deutsche Puppenspiele [Old German Puppet Theatre]. München: Herbig, 1971. Jacob, Max. Mein Kasper und ich [My Kasper and I]. Stuttgart, 1970. Knoedgen, Werner. Das Unmögliche Theater. Zur Phänomenologie des Figurentheaters [The Impossible Theatre. The Phenomenology of Figure Theatre]. Stuttgart: Wachhaus Verlag, 1990. Mäser, Rolf. Zur Geschichte des deutschen Puppenspiels im 20. Jahrhundert [The History of German Puppetry in the 20th Century]. Berlin, 1982. Purschke, Hans Richard. Die Anfänge der Puppenspielformen und ihre vermutlichen Ursprungsländer [The Beginnings of Different Forms of Puppetry and Their Probable Countries of Origin]. Bochum, 1979. Purschke, Hans Richard. Die Puppenspieltraditionen Europas. Deutschsprachige Gebiete [Puppetry Traditions of Europe. German-speaking Regions]. Frankfurt: Puppen und Masken, 1986. Rabe, Johs E. Kasper Putschenelle. Historisches über die Handpuppen und althamburgische Kasperspiele [Kasper Putschenelle. Historical Elements of the Glove Puppet and Kasper Shows in Old Hamburg]. Hamburg: C. Boysen, 1912. Schlemmer, Oskar, László Moholy-Nagy, and Farkas Molnar. Die Bühne im Bauhaus [The Stage at the Bauhaus]. Mann: Mainz und Berlin, 1965-2003. Till, Wolfgang. Puppentheater im Münchner Stadtmuseum. Bilder. Figuren. Dokumente [Puppet Theatre in Munich City Museum. Photographs, Puppets. Documents]. München, 1986. Wegner, Manfred, ed. Die Spiele der Puppe. Beiträge zur Kunst- und Sozialgeschichte des Figurentheaters im 19. und 20. Jahrhundert [The Play of the Puppet. Contributions to Art and Social History of Figure Theatre in the 19th and 20 Centuries]. Köln: Prometh-Verlag, 1989. Das Andere Theater [The Other Theatre]. News magazine of the German Centre of UNIMA and the German National Association for Puppet Theatre (Deutscher Bund für Puppenspiel), published since 1990. Das Figurentheater [The Figure Theatre]. Journal issued from 1963 to 1990, published by the German Institute for Puppet Theatre (Deutsches Institut für Puppenspiel e.V. ), Bochum. Das Puppentheater [The Puppet Theatre]. Journal devoted to the interests of puppeteers, history and techniques of all types of puppetry, issued from 1923 to 1931, published by the Cultural Association for the Advancement of Puppetry (Kulturverband zur Förderung des Puppentheaters). Der Puppenspieler [The Puppeteer]. Monthly on puppet theatre issued from 1930 to 1933 and from 1948 to 1951, published by the German National Association for Puppet Theatre (Deutscher Bund für Puppenspiel). Double. Magazin für Puppen-, Figuren- und Objekttheater [Double. Magazine for Puppet, Figure and Object Theatre]. Issued since 2004, published by the German Forum for Figure Theatre and Puppetry (Deutsches Forum für Figurentheater und Puppenspielkunst e.V. ), Bochum. Perlicko Perlacko. Journal on the puppet theatre appeared from 1950 to 1979 published by Hans Richard Purschke. Puppen, Menschen und Objekte [Puppets, People and Objects]. Journal on the theatre, issued since 2000, published by the Association of German Puppet Theatre (Verband Deutsche Puppentheater). Puppenspiel – Information [Puppet Theatre – Information]. Journal issued between 1968 and 1999, published by the Association of German Puppet Theatre (Verband Deutsche Puppentheater e.V. ).